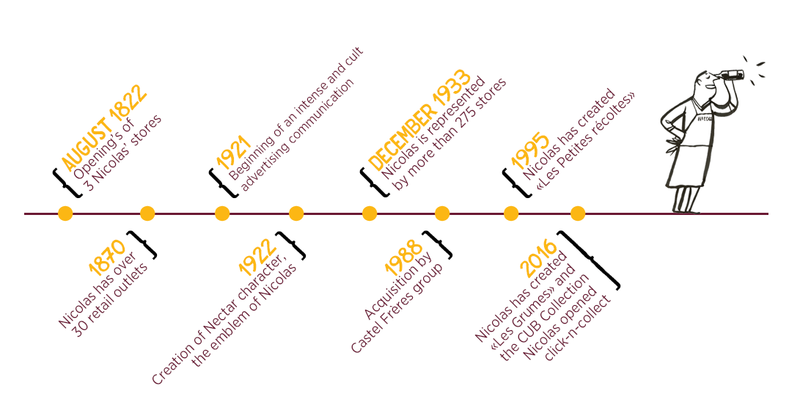 Nicolas, a pioneer for over 190 years ! The story begins at the time when wine was drunk in taverns or wine shops. And if in the mood to eat at home, we had to go to a wine merchant or directly from the producer to buy a barrel! It is from this observation that Louis Nicolas invented a new concept in wine sales that would revolutionize the habits of consumption and trading: bottled wine. 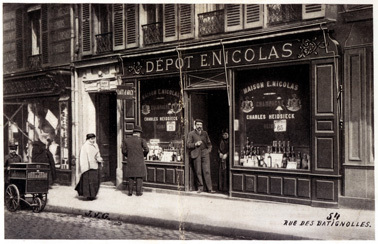 Founded in 1822, the Nicolas House had at that time a main shop at 53 rue Sainte-Anne and three depots in Paris. The idea of providing a superior and consistent quality at a reasonable price created the reputation of the House. Our Mission : To facilitate access to wine that should provide pleasure. Our Vision : We promise to find the wine that suits you and make every occasion a special moment, of fun and friendliness. No. 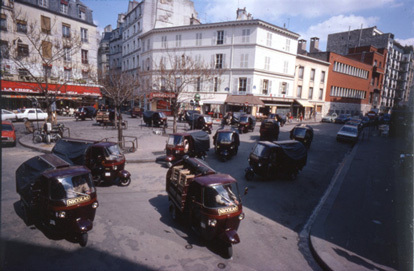 1 retailer of wine in France in the city center. Indeed, at Nicolas, selling wine is not just a simple exchange between the producer and the consumer. To ensure the quality of advice, Nicolas brings fullt trains all its wine merchants for a period of five weeks. Thanks to the integrated Ecole Nicolas (authorized training center), each future wine merchant discovers not only the products but the task of effectively managing a store. And as innovation also depends on the offer, Nicolas was the first to propose the Beaujolais Nouveau scale in 1966. In 1995 it celebrated the Pays de France wines with a range of Small Crops followed by Variety of grains in 2003. The notoriety of NICOLAS asserted itself through an intense advertising in both film (first advertising cartoons in 1921), and on the walls with the appearance of Nectar in 1922. Born from the mind of Dransy and inspired by a deliverer of the house named Le Paven, the frail deliveryman with a mustache and wide eyes, loaded with bottles in each hand, became an immediate success. In 2012, to mark the 190th anniversary of Nicolas, the iconic delivery man of the house was modernized and made us discover a new face. Today, the wine merchant has the honor of advertising communication at Nicolas.